It’s been several months now since Fitbloggin ended, and its effects always linger for a while. Not only do I stay connected with the many men and women that I met (and reconnected with!) this year, but I’ve also connected with some new brands who sponsored my favorite healthy living conference this year, including this one. At this year’s Fitbloggin, Soybu dressed some of our lovely attendees for a fashion show where I fell in love with so many of their pieces. 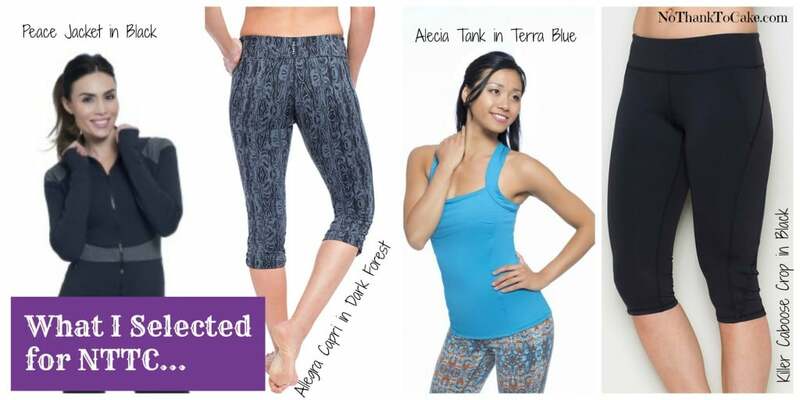 From the fab Sylvie capris that Dacia rocked to the gorgeous Maria skirt that Heather wore… I was eager to go on a complete shopping spree! And, then… Soybu reached out to me to see if I’d be interested in reviewing their fall line. Of course, I would! The fact that Soybu is a Denver, Colorado company (my town!) makes them even more fun to share here on the blog today. They have the most beautiful clothing line that really combines the functional with the fashionable. They completely get that women are busy, and that when we work out we want to feel feminine, stylish, and comfortable. And their clothes are exactly that! After perusing the website for some time, I ended up choosing the following pieces to try! By now, you know that I love to shop… and I love getting beautiful clothing in the mail. These pieces were no exception! 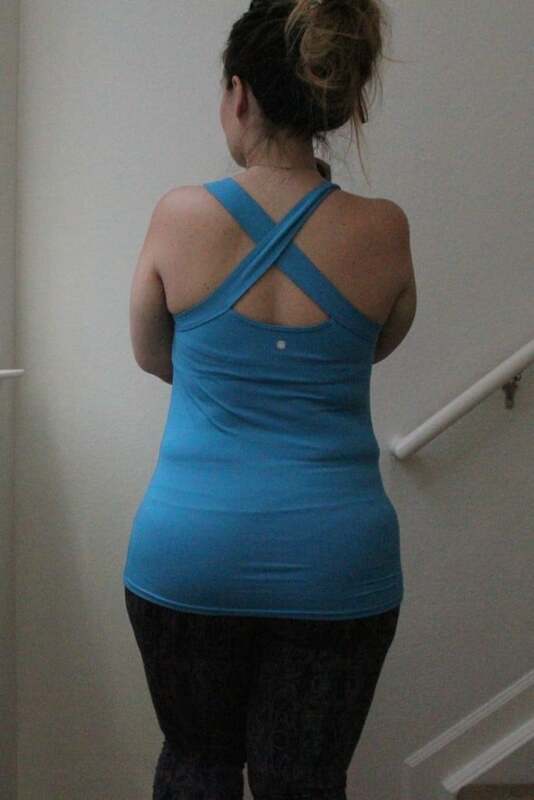 Speaking of backs, can we talk about how pretty the back of the Alecia tank is? The criss-cross straps are so beautiful, while being thick enough to be supportive. Of note, I felt that the front was a little roomy. Now, I’m not very large-chested, but I have plenty of room up front. Almost needing a sports bra under it if I were to be doing cardio. For yoga, I’d be fine, however… and the fit was perfect through the body. Last but not least, the Allegro Capri. 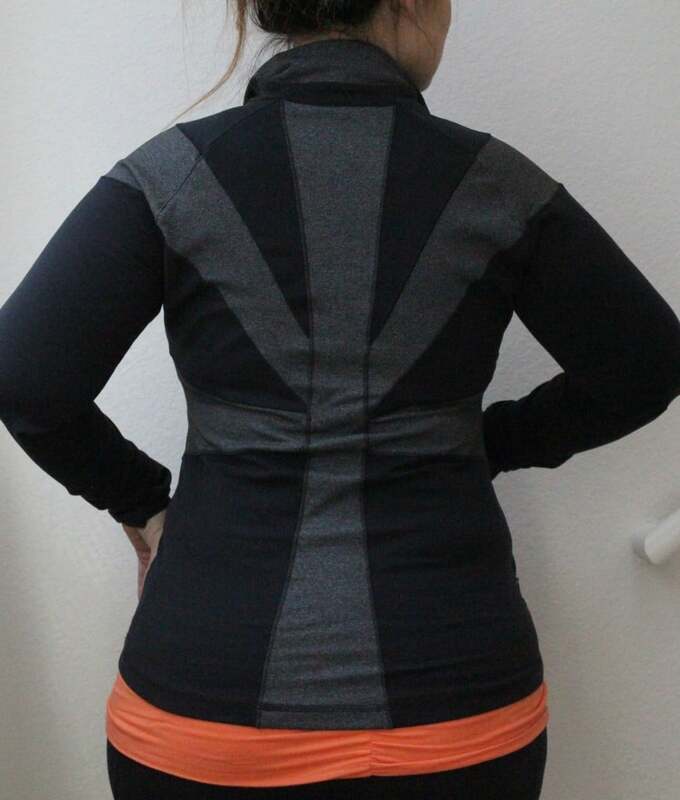 I’m actually wearing it in the photo above, but the pattern didn’t stand out in the lighting… so here’s another peek. I’ve really gotten into patterned pants this year, and I’m loving these. Again, that super cozy fabric just makes you feel so great. If you’ve never tried wearing a pattern on the bottom, TRY IT. If me and my caboose can do it, you can too!! So, I’m sad to see my Soybu review come to an end… because I just love their line! That being said, let’s keep it going! All week long – – because I’m running a GIVEAWAY!! 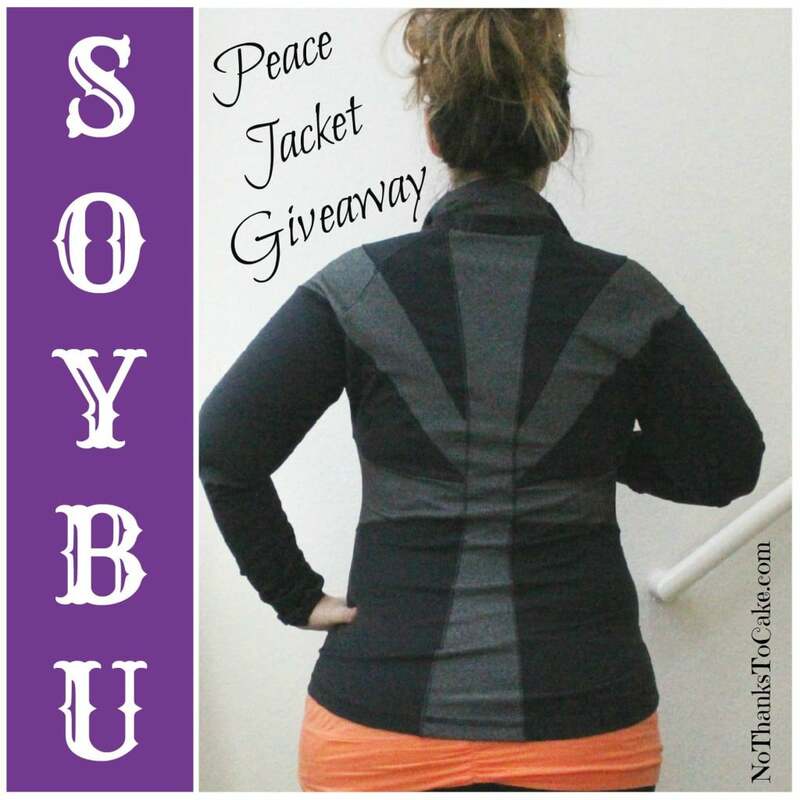 Soybu asked me to pick my favorite piece that they sent me to giveaway… and it’s definitely this jacket. So versatile and such a great piece for fall. I want one of y’all to have it too! To enter, please complete the Rafflecopter below. I can’t wait to see who wins! You can also sign up for 25% off your next order here! Disclaimer: I received free clothing in exchange for sharing my review and hosting this giveaway from Soybu; however, all of the opinions and comments above are exclusively my own and do not necessarily represent that of the brand. Previous Post: « Jenny Craig Simple Inspirations – Vote Today! I’m Kelly, and welcome to No Thanks to Cake. On NTTC, you’ll find lots of delicious recipes, healthy living adventures, and travel stories. Join in on the fun as we inspire each other to live the healthiest, BEST life possible! All photos, recipes, and texts are protected and may not be used or distributed without the permission of the owner. I am not a licensed dietitian, nor medical doctor, nor a fitness expert. The purpose of my blog is to share my experiences with weight loss, fitness, and life in general and to offer a little entertainment along the way. If you are seeking a professional opinion on how you should proceed to achieve your personal goals, please consult a professional.